Hotel companies that don’t embrace analytics-driven decision making will increasingly lose market share, guests and profits to more forward-thinking competitors—not to mention data-obsessed companies like Priceline, Expedia, Airbnb, TripAdvisor and Google. Integrating data into the decision-making culture of an organization requires a shift in mindset and strong leadership. Below are six principles to guide hospitality leaders. Treat data as a utility. A common misconception is that only big companies need big data, but data can inform decisions for hotels and hotel groups of all shapes and sizes. It requires putting the proper infrastructure in place and treating data as a utility. By utility, I mean recognizing data as useful, beneficial and necessary. Infrastructure is more than just computers, it’s people, systems, processes and data harvesting at every level. Executives need data for strategic planning, whereas middle management needs data for both tactical and strategic decision making, and frontline staff need simple and intuitive systems to collect and utilize data to enhance the guest experience. The prospect of sifting through volumes of data makes some executives break into a cold sweat. Data can be complex, time-consuming and confusing. Some avoid it; others gloss over it. 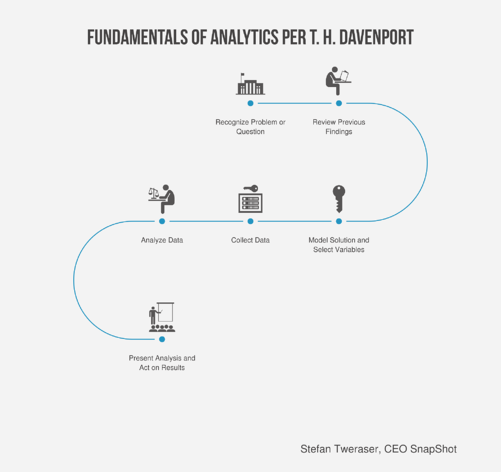 But today, even (or especially) senior leaders need to learn the fundamentals of analytics. Example: A hotel is losing group business due to lack of function space, and the manager asks the controller and revenue manager to perform an analysis. 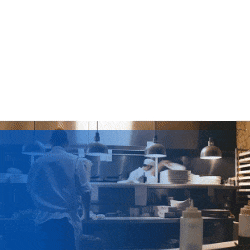 The data shows that if the hotel converts 200 square meters of restaurant space into function space, it can significantly increase rooms and meetings revenue with minimal losses to restaurant revenue. The GM presents the case to ownership to ask for approval to make the change. As strange as it may sound, senior leaders also need to understand how machines learn. Machine learning provides computers the ability to learn without being explicitly programmed. As new data is added and analyzed, the software identifies patterns, gains greater understanding and can make predictions of future outcomes. Today, too much data handling is performed manually in hotels. Analytics applications allow the automation of data collection, integration, cross examination and analysis from diverse sources, freeing up staff to interpret results, take action and optimize outcomes. 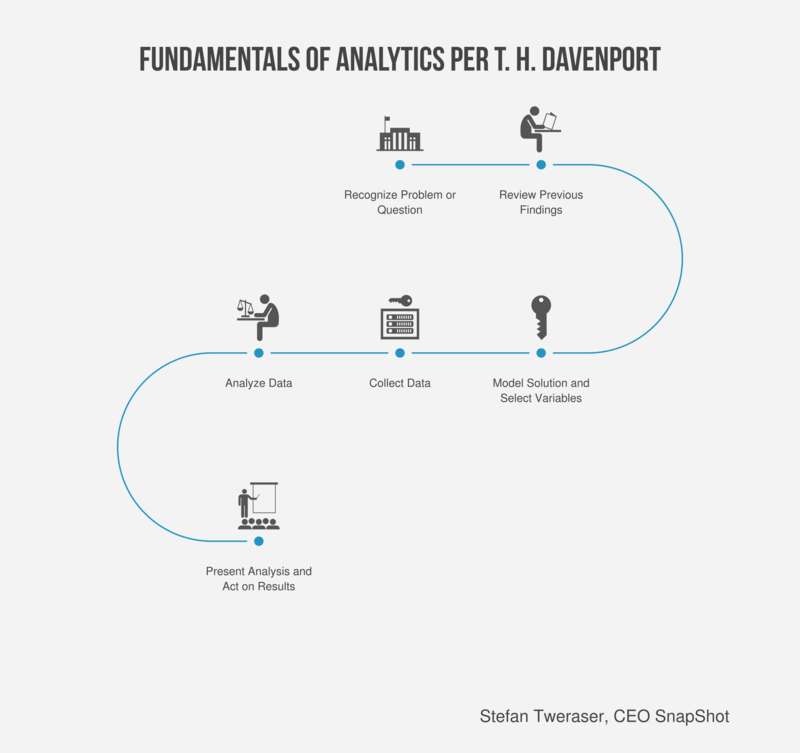 Analytical skills are a prized possession today. Whether it’s the revenue manager, controller, marketing director, CTO or CIO, executives should learn from them and support them. When asking staff to perform an analysis, leaders must be careful not to fall into the common trap of pressuring them to prove their preconceived notions. “Instead, establish a culture of inquiry that focuses on learning the real truth behind the numbers,” Davenport says. What was the source of your data? How well does the data represent the population? Quality data drives quality decision making, and quality means complete, accurate and relevant, but there’s a misconception that data must be perfect to be useful. In the hotel industry, data is pulled from and stored in the PMS, POS, CRM database, the internet, social media, revenue and reputation management systems, as well as being aggregated via system consolidation, mergers and acquisitions. The sheer volume of data and the processes of matching and merging data inevitably lead to duplications and imperfections. Rather than waste time in the pursuit of perfect data, executives should strive for an acceptable level of data quality and know where to strike the balance between insufficient analysis and excessive analysis. Moving to analytics-based decision making may ruffle feathers in the C-suite, where hospitality veterans think they’re good at making intuitive decisions and may fear that data challenges their authority and value, but remember, there’s no ego in analytics. While there must always be collaboration, empowerment, discussion and dissent in decision making, strong leaders aren’t afraid to overcome resistance and make smarter, less risky decisions based on numbers, not gut feel. Only then will hotel companies find the increased guest satisfaction, efficiencies and profits needed to thrive in a data-driven world.